Weekly meditation circle to practice Love and compassion for ourselves, each other and the planet. Enter the sacred stillness to connect to your inner wisdom and find peace. Weekly … Every Friday 1.15 pm for a prompt 1.30 start. I offer smudging (cleansing with white sage smoke) for those who appreciate this, we then settle down for the meditation 30-40 mins followed by refreshments and reflection before closing. The ancient art of meditation has been helping people raise their awareness for centuries. It is a seemingly simple spiritual practice that spans all faiths yet is not dependant on an allegiance to any. Why do so many people practice meditation? Do I have to believe in a God to be able to meditate? These questions and perhaps some of your own will be explored in our weekly meditation class. The aim is for meditation to become a daily practice for your health, happiness and peace of mind – harmony of the Mind, Body and Soul. Practice! Like most things worthwhile – patience and practice are essential. 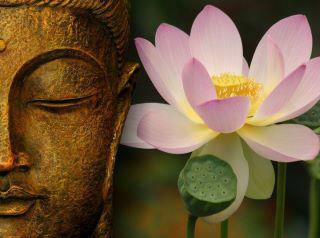 Each day as we spend time in the inner quiet of meditation, our awareness will expand and awaken us to our true nature. Switch off phones… in fact anything that will distract you . Open your heart and mind. Have no expectations. Sometimes the mind is too active to settle down. Sometimes it settles down immediately. Sometimes it goes quiet, but you don’t notice. Anything can happen. Be easy with yourself. Meditation isn’t about getting it right or wrong. It’s about letting your mind find its true nature. Relax and Enjoy. Even if you meditate regularly, it can sometimes feel strange, awkward or simply a waste of time … I remember feeling all this and more!